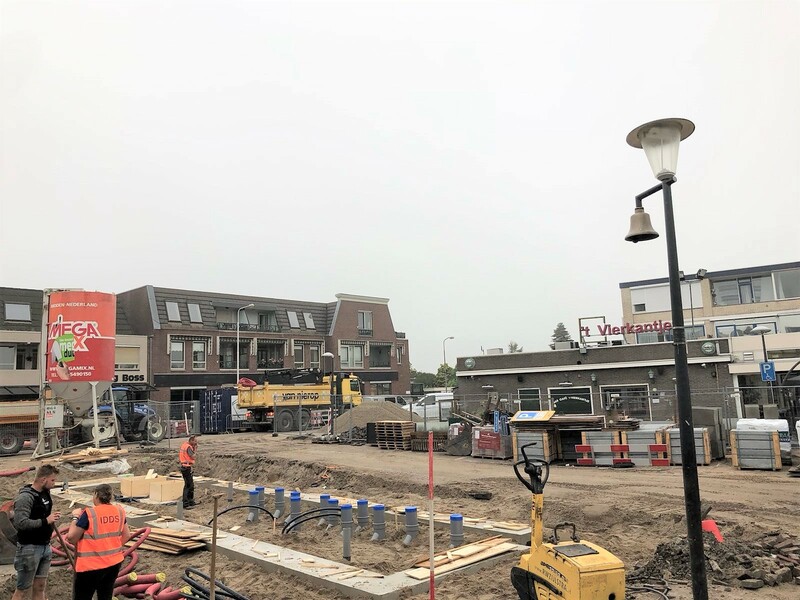 Last August construction works on the city center in Berkel en Rodenrijs started. Since 2013 karres+brands is involved in the redevelopment of the public space in this town. 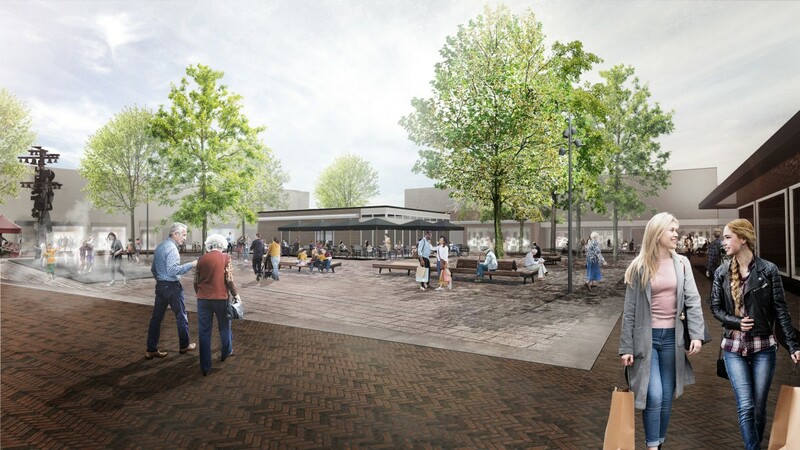 First we developed a ‘Vision for the public space for the city center of Berkel en Rodenrijs’. The main intervention within this vision is the transformation of the shopping street, Kerkstraat, into a connecting area between the historical center and the new housing development on the west side. Along the Kerkstraat a square is situated which was dominated by cars over the years. With the updated mobility plan the municipality Lansingerland decided to limit the amount of parking places and transform the square into a car-free space. As a result of this new policy, the vision for the city center was updated in 2017. Not only was the vision extended with the Nieuwstraat and Herenstraat, but it also offered an amazing opportunity to transform the square into a new ‘living room’ for Berkel en Rodenrijs. In the design the square gets a new spatial organization, which offers inhabitants the chance for a pleasant stay and interaction, but also offers enough room for events. Just like in a cozy living room the square gets sturdy and comfortable furniture. The borders of the square are defined through the existing architecture but also through the edges of the new ‘carpet’ made of Argentine porphyry, a natural stone. On the square, existing and new terraces will contribute to the atmosphere. To make this a comfortable place, we designed different seating options, such as long benches with and without back rest and small ottomans in the shades of the trees. All objects follow a direction in the paving which refers to historical polder lines, perpendicular to the ribbon development in the region. The fountain on the edge of the square tells the past of Berkel en Rodenrijs. The design shows the history of the surrounding landscape in the form of a historical map, executed in different materials. It features ’dike’ of natural stone in which the ribbon is engraved. In addition, a ’polder’ is made of corten steel with perforations and a ’lake’ in which water can be temporarily stored. During the day the fountain is attractive for children to play; at night it is illuminated. 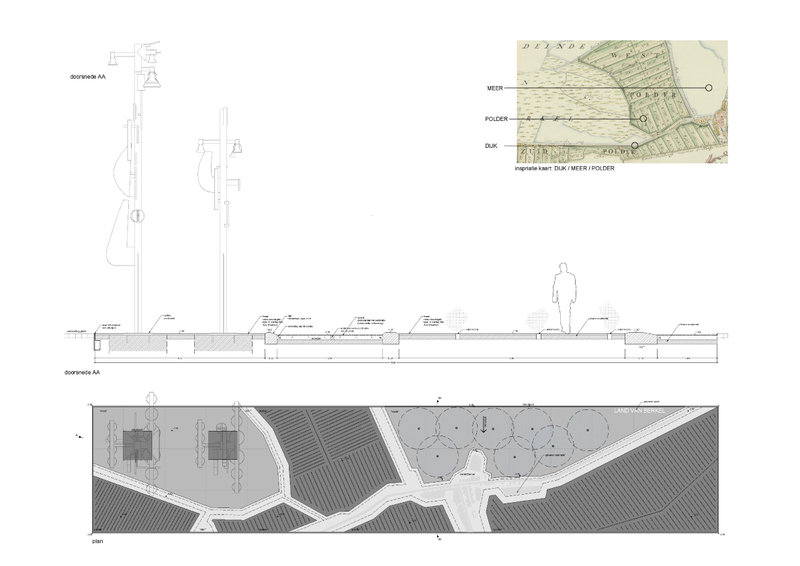 Two carillons with historic value for Berkel en Rodenrijs will be placed on the new fountain.